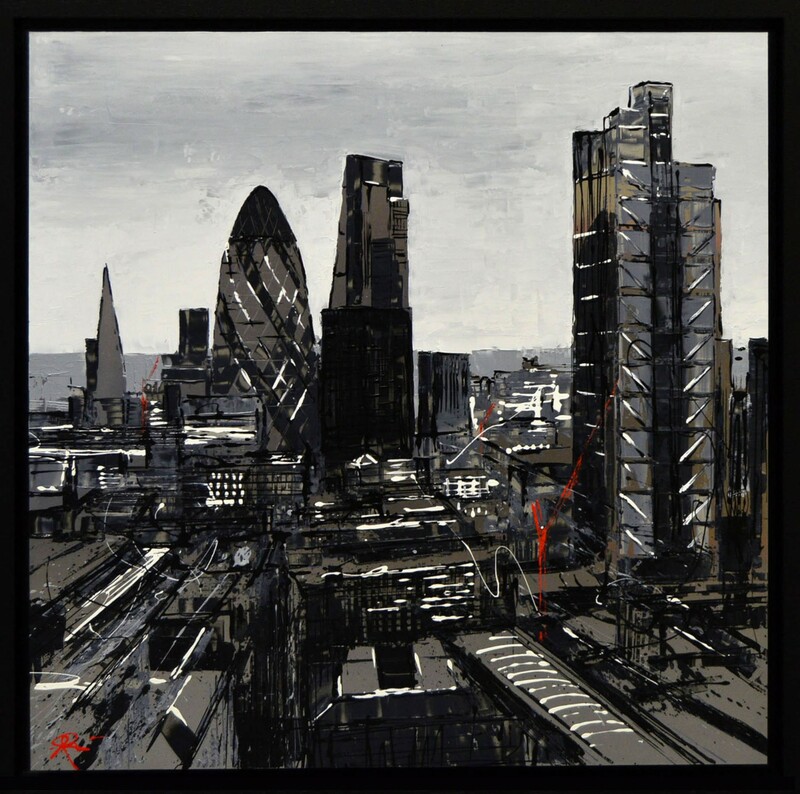 Roof Tops, original Paul Kenton London skyline painting. 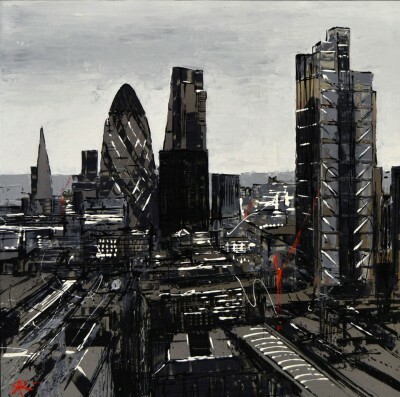 A stunning original cityscape, Roof Tops is incredible vision of the London skyline from the talented artist Paul Kenton. Painted on aluminium canvas that shines through the artist's acrylic vision of London's City. A fantastic opportunity for Paul Kenton collectors to add a stand out original painting to their collection. Paul Kenton London skyline original includes frame.